If you spot any of these plants or need assistance identifying a plants, please call Rick Bilokryly at 306-862-3847 or 306-812-8288. For more information on each plant, click on the picture. 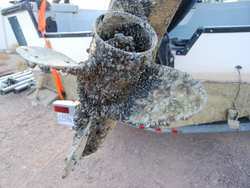 Zebra and quagga mussels are aquatic invasive species that threaten aquatic habitats, fisheries, recreational resources, and water-based infrastructure that could cost Saskatchewan millions of dollars a year. Once they are introduced it is virtually impossible to eradicate them. They spread by attaching to any part of a watercraft that made contact with the water. Please always clean, drain and dry your watercraft before heading to another lake or river.